After a Sculpture degree, Eilean worked in schools and museums before becoming an academic in the Department of Museum Studies at the University of Leicester. 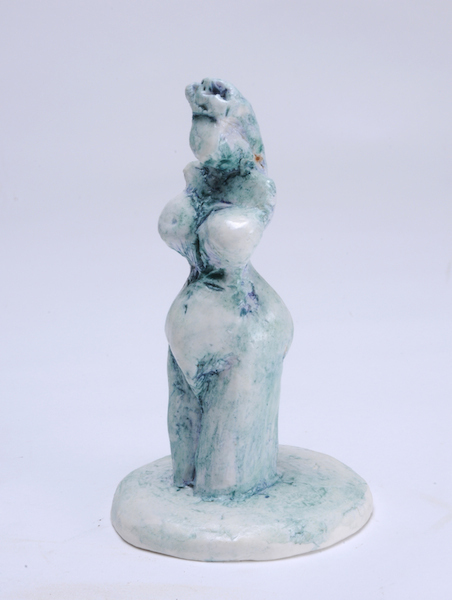 Also teaching part-time in the Department of Adult Education, she developed an approach to ceramic sculpture. Her inspiration includes the landscape and its ancient monuments, pre-Renaissance and ethnographic figures and life-drawing. She uses an intuitive, spontaneous approach to making which celebrates the tactile qualities of the handmade and retains evidence of the history of the shaping and reshaping of the pieces as they are realised.